Looking for a MOV editor? Many videos are stored in the MOV file format, originally developed for Mac OS and used by QuickTime. Want to edit MOV files on Windows 10 without having to convert them to more common formats like MP4? 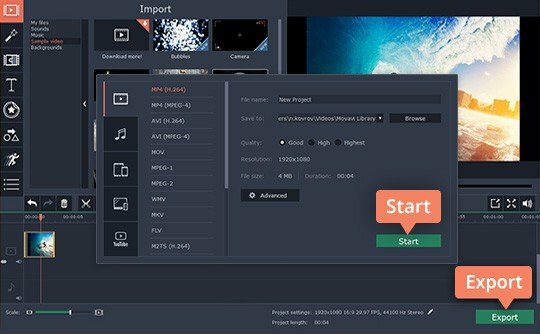 Download Free Video Editor! 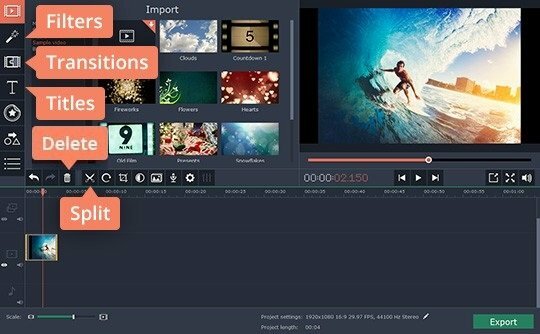 This easy-to-use video editing software supports MOV, AVI, MP4, and other popular formats. Read our instructions below and you'll learn how to edit MOV files on a PC or Mac. Open the file you’ve downloaded and follow the on-screen instructions to download Free Video Editor. Click Add Media Files and upload your videos to the program. The files will appear on the timeline in the lower part of the program window. 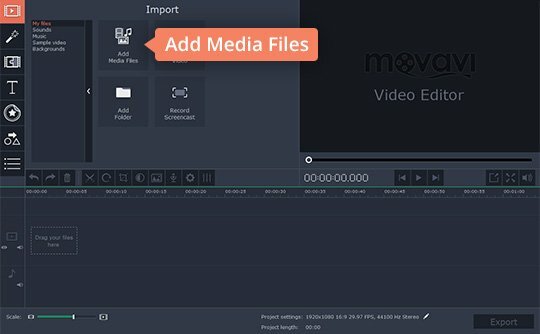 There are lots of ways you can edit MOV files using Free Video Editor. First, you can cut the videos into as many parts as you want and remove unwanted sections. Use the Split and Delete buttons to do this. Secondly, you can expand your video into a complete movie using filters, transitions, titles, stickers, and other creative tools. To get access to these options, use the tabs on the left of the program window. Browse through the collection of tools and choose what suits your needs best. It's time to export your video. Click the Export button and choose the format you need. You can save the video in MOV or any other popular format. When you're ready, click Start. Now you know how to work with our MOV video editor!